The term references cultural practices, objects, trends, and movements with mass appeal rather than those associated with elite culture, unless those expressions are marketed to the masses or are appropriated by them. The organizational title denotes region, not subject matter. NEPCA does not confine its subject matters to the Northeast, the United States, or any international borders. It does not restrict cultural subjects to those associated with formal training or the acclaim of cultural experts. It avoids aesthetic judgments of the relative merits of one cultural expression over another. It sees value in studying trends, fads, amusements, practices, etc. (past and present) that were embraced by ordinary people. NEPCA embraces the ways in which technology and popular culture intersect (digital culture, gaming, popular science). NEPCA does not use “popular” and “current” as synonyms. It embraces historical analyses on an equal footing with contemporary trends. None of the above is a hard and fast rule, nor are the above subjects exhaustive in their scope. 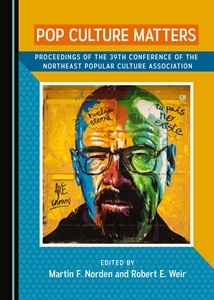 NEPCA is the regional affiliate of both the American Popular Culture Association and the American Culture Association. The definition of “American culture” is even broader than that of popular culture. Most topics pertaining to North America fall under NEPCA’s purview. Is There Any Topic You Won’t Accept? Run it by us! Chances are pretty good your idea fits somewhere. Check the Area Chairs link under the Conference tab. It will direct you to people who can help you shape a conference paper proposal.